Stream of consciousness is the current and flow through my paintings. The work is influenced by our ever changing world. My images contain characters involved in examination, reflection, and self expression through a calligraphic language developed over a span of time and place. There are symbols of nature and freedom to express a message, my ultimate voice. Through mark making there is the representation of the concrete passing of time, the here and now,and an acknowledgement of rooting oneself with CHI (JI, internal energy). 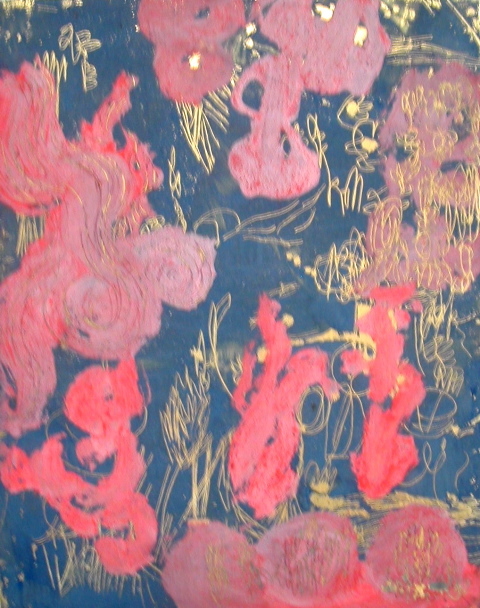 I connect this mark making to the earliest cave paintings. This Chi leads me to inner and outer visions expressed through line, color and rhythm.